World-class care. Close to home. That's Islands Family Medical Center. The holiday season is a time for sharing, giving, and celebration. However, it’s also a time that can prove to be detrimental to our health, as we often consume too much food, are exposed to the cold and flu viruses, and are forced to manage large amounts of stress. Happily, we have some helpful suggestions for staying healthy this season. 1. Wash your hands frequently. Keeping your hands clean is one of the main precautions you can take to prevent the spread of germs and becoming sick. Cover your nose and mouth with a tissue when you sneeze or cough to prevent the spread of germs to others. 2. Stock up on healthy meals. Prepare and freeze your meals in advanced to help avoid the temptation of eating out too frequently – or, worse, to grab a calorie-laden fast food meal. With a stockpile of healthy, frozen meals, you can simply stick a meal in the oven or microwave to get a hassle-free dinner. 3. Drink lots of water. Occasionally, we believe we are not full when we are really thirsty. Drinking enough water can help you stay hydrated and feeling satiated. Scale back on sodas and other sugary drinks and keep a water bottle readily available instead. 4. Concentrate on enjoyment, not food. Rather than making food the primary focus, you can spend quality time participating in holiday activities. Whether it is trimming the tree, wrapping presents or caroling, the pleasure you will receive by sharing these activities with friends and family will help you forget about that plate of sugar cookies. 5. Manage anxiety. 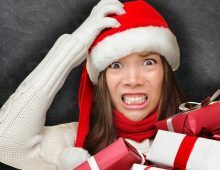 Do not over commit to holiday activities that create undue stress and set a holiday spending budget and stick to it. Get support from friends and family. Keep a positive and comfortable outlook. Ensure that you get appropriate sleep. 6. Travel safely. Whether you are traveling across town or all over the world, take the necessary precautions to maintain your health and safety. Most important, do not drink and drive, and do not let someone else in your party drive and drink. Put on a seat belt each single time you drive or ride in an automobile. 7. Go easy and sauces and gravies. Nobody likes a dry turkey, but the sauces and gravy that often accompany holiday meats are usually laden with calories and fat. If you must indulge in them, go easy. Better yet, forego them completely. 8. Get checkups and vaccinations. Screenings and examinations can help find possible problems when the opportunities for remedy and treatment are not generally worse. Vaccinations help save lives and prevent diseases. A flu shot will provide you with extra protection against this virus. 9. Keep moving. When the temperature drops and the winds are chilly, it is often hard to find the motivation to get the exercise your body needs. Yet, it is vital that you schedule regular exercise throughout the holidays. Take a brisk 10- to 15-minute walk, work out inside, or find other methods to keep fit in cold weather. 10. Eat slower. When you slow down your eating, you pay more attention to your food and give your body the time it needs to signal that it is full. To help you deliberately slow down your eating habits, put down your fork between bites. 11. Wear form-fitting clothing. As comfy as they may be, those elastic waistbands could be doing more harm than good, as they don’t help control your holiday eating. Tighter, form-fitting garments function as a reminder of your fullness and will prevent overeating. 12. Indulge in just your favorite treats. Try and be discerning in what you eat and watch the amount of sweets that you consume, particularly at dinners or holiday parties. If you must have a slice of pie, stay away from store-bought pastries, as they are generally filled with hollow calories. Instead, make homemade desserts that allow you to control the calories. The single-best best way to avoid getting sick this flu season is to be vaccinated. Even if you were vaccinated last year, you must receive a flu vaccine again, as the virus changes each flu season. In fact, The Centers for Disease Control and Prevention (CDC) recommends an annual vaccine for anyone aged six months and older. Scheduling a flu vaccine is easy, and we can do it for you. Just click here to schedule an appointment. There are two forms of vaccine available. You can receive a flu shot, with is administered through an injection, or, if you are healthy and under the age of 50, your vaccine can be administered via nasal spray. In addition, pregnant women and anyone with asthma should not receive the nasal vaccine and should opt instead for a flu shot. In either case, you should not delay in getting vaccinated, as it takes about two weeks for the vaccination to protect you against the flu. But there is more you can do to protect yourself against the flu. First, wash your hands often, especially when you come in contact with someone who is sick. This is not only good practice during flu season, but also year-round. In order to disinfect your hands, you should wash them for 15 to 20 seconds with soap and water or with a rubbing alcohol-based cleaner. Second, avoid close contact with people who have respiratory infections. 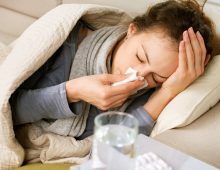 Even though they might not appear to have the flu, you should know that the flu virus can spread starting one day before and up to one week after symptoms appear. Third, do not share drinks or personal items with others, and do not bite your nails or put your hands near your eyes, mouth or nose. If you get vaccinated this flu season and heed the above advice, you will minimize your risk of getting the flu this season. 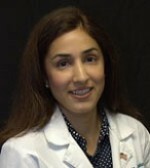 Maria Jauhar, M.D., completed her internship and residency at Atlanta Medical Center in 2009 and is board certified by the American Academy of Family Medicine. She has been practicing in Savannah since 2010. Copyright © 2017 Islands Family Medical Center. All rights reserved.